Ford Motor Company Fund and NBC’s GIVE program recently joined forces to assist two non-profits in the nation’s capital that are helping improve the lives of U.S. military veterans. For this reason, Beach Automotive Group wanted to share some fantastic news! 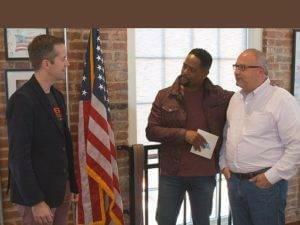 During a veteran-themed episode that aired recently, Ford Fund — the philanthropic arm of Ford Motor Company — surprised the Armed Services Arts Partnership (ASAP) with $15,000 and Bunker Labs DC with $10,000. The two small non-profits are having a big impact easing men and women back into civilian life from military service. GIVE host Blair Underwood consulted with Ford Fund President Jim Vella on how to split the investment between the two deserving organizations. It’s the type of decision Vella makes all the time. In reality, we understand that it must not be an easy decision. Armed Services Arts Partnership (ASAP) helps veterans, service members and military families reintegrate into their communities through the arts. ASAP promotes expression, skill-building and camaraderie through classes in stand-up comedy, storytelling and creative writing, providing participants with life skills, a renewed sense of purpose and healing. Bunker Labs is a national not-for-profit organization built by military veteran entrepreneurs to empower other military veterans to become leaders in innovation. Bunker Labs provides educational programming mentors, events, and local networks to help military veterans start and grow businesses. “You’ve all had the opportunity to serve our country and this is a way that our employees can serve you for a change,” Vella told veterans at Bunker Labs as the surprise was revealed. 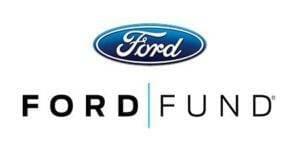 The Ford Fund grant will be used to create an app that will connect members around the country. Ford Motor Company has been supporting military veterans for more than 95 years. 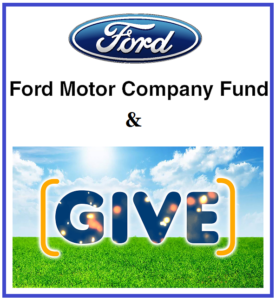 Not to mention, the Ford Fund has 67 years of experience working with non-profit organizations. Ford Fund supports programs and organizations that are innovative in order to make an impact in the lives of veterans. This includes scholarships, job training, medical transportation in addition to other transition services, as well. Once again, Beach Automotive Group is honored to be a part of the Ford Family, for reasons just like this.